In occupational therapy school, we learn the importance of good body mechanics when doing manual parts of our jobs like lifting patients. Good body mechanics is important when working out too! Not using body mechanics properly can lead to an injury that causes lifelong aches and pains. It's important to learn how to do workout moves properly (especially if you're strength training) to not only prevent painful injuries but also to get the most out of your workouts. Here are a few ways to make sure you're doing your moves correctly. Most gyms have a personal trainer that can help you check to make sure you're doing moves correctly. It may seem expensive to shell out money for a personal trainer, but you only have one body. It's worth paying for a few training sessions to prevent injuries. If you do some inquiring, you may even find out that you get a few free sessions included in your gym membership. You can find great how-to videos on youtube for proper form. Holly Perkins, the author of Lift to Get Lean, has a really helpful website and youtube channel for proper strength training form. Her book goes even more in-depth, but I like having the visual of a video. 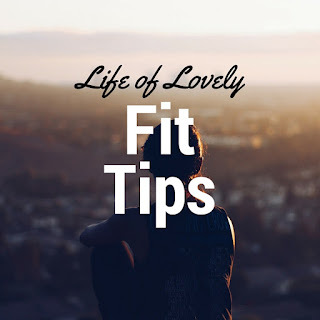 You can also explore websites like Women's Health Magazine, Fitness, or Shape to learn things like how to use good form while running, how to avoid injuries doing any workout, and how to get the most out of your spin class. We all have friends that are avid runners, weightlifters, or spinners. Chances are since they love working out, they will jump at the chance to talk endlessly about it or teach you how to do what they do. Just ask them your questions about running form or how to squat without killing your joints. Even better, get them to come to the gym with you and show you. Hopefully, these tips will get you on your way to injury free workouts! What are your tips for learning good form?